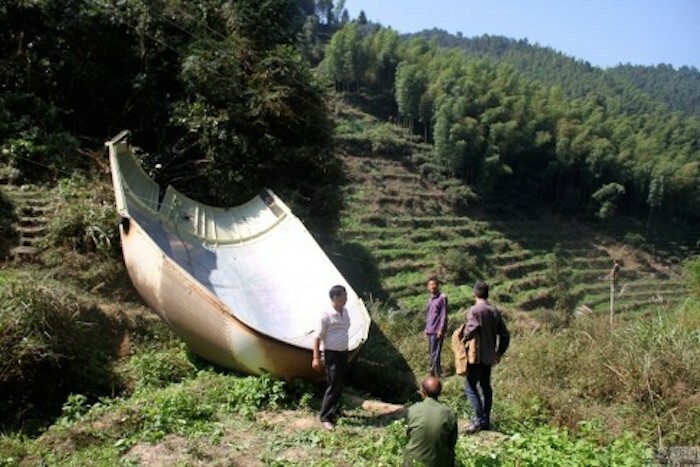 Villagers in southeastern China awoke this weekend to find a metal chunk from a satellite had narrowly missed their homes as it fell to earth, slamming instead into a nearby hillside, state media reported. 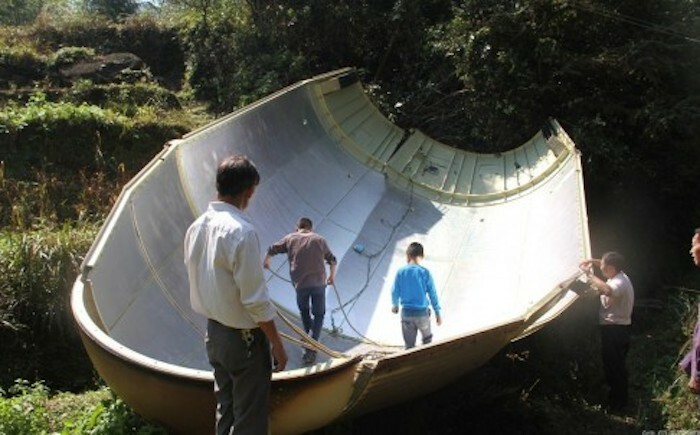 The piece, measuring about 10.3 metres long and 4.5 metres across, had broken off the APSTAR-9 satellite, which was carried into space by a rocket blasting off from Xichang in Sichuan province shortly after midnight on Saturday. The debris was part of the radome, which protects the satellite's antenna. It wasn't clear what broke it loose from the APSTAR-9 satellite, deployed early Saturday. It wasn't clear what happened during the deployment of the communication satellite that sheared off a portion of its radome, the protective enclosure for the radar antenna. But the report carried on the website of People's Daily called the launch a success. The APSTAR-9 satellite was provided by the China Aerospace Science and Technology Corporation.